Leh Ladakh, lying amidst greater mountain passes of the Himalayas and the Karakoram is bewitched with high terrains for fantastic trekking opportunities. 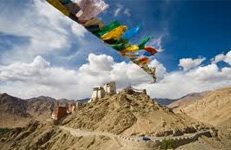 The far north of India neighboring Tibet, Kashmir and the Karakoram, this serene land of the Himalayas brings inescapable natural wonders for everyone and such harsh yet eloquent beauty typically ornaments the 'little Tibet' for most wonderful Ladakh trekking opportunities for the enthusiastic adventure lovers with its different trekking trails. 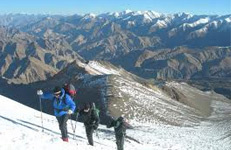 Interestingly, adding more flavors to the Ladakh trekking tours one can find the detailed descriptions of numerous different treks across Ladakh and Zanskar regions. These famous treks are especially meant for the rigorous enthusiastic beings who love exploring nature by twisting their moves. Duration- 07 Night/ 08 Days. This is an incredible place which is considered as a paradise for those who search places to achieve the thrill of adventure. Locating at an altitude ranging between 2750 - 7672 meters, this place is blessed with an amazing topography comprising of hilly terrain, rocky cliffs, lush green grasslands and high altitude peaks. 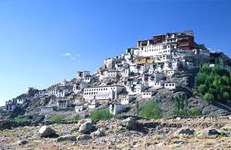 Making a grand Ladakh tour is actually meant for trekking at high altitudes, mountain climbing and biking, safaris, water rafting and many more to explore the typical wilderness at the most isolated, deserted yet fascinating location of India. 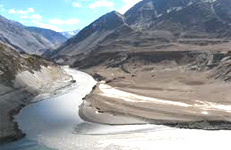 Jauntily, Ladakh is also best termed as the “Land of High Passes” forming the most magnificent part of Jammu & Kashmir. Besides all such fascinations, Ladakh is also the perfect enigmatic land of the lakes where the presence of multiple famous lakes make the adventure trip more creative and relaxing by spending few moments along it. 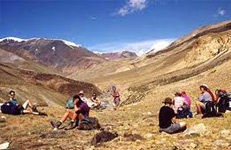 The trekkers can enjoy camping, bon-firing and leisure walks at Pangong Tso Lake, Tsomoriri Lake and Tsokar Lake. Interestingly, adding more flavors to the Ladakh trekking tours one can find the detailed descriptions of different treks across Ladakh and Zanskar regions. These plethora’s of famous treks are especially meant for the rigorous enthusiastic beings who love exploring nature by twisting their moves. The region offers more than a trekking experience; this is the reason that adventure fanatics from across the globe make a great move towards Ladakh. 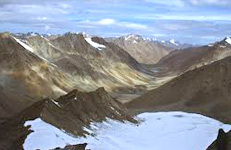 With Ladakh adventure holidays, one can find complete adventurous and serene activities along the great high passes of the Himalayan ranges to re-discover life in a grand and unique form.